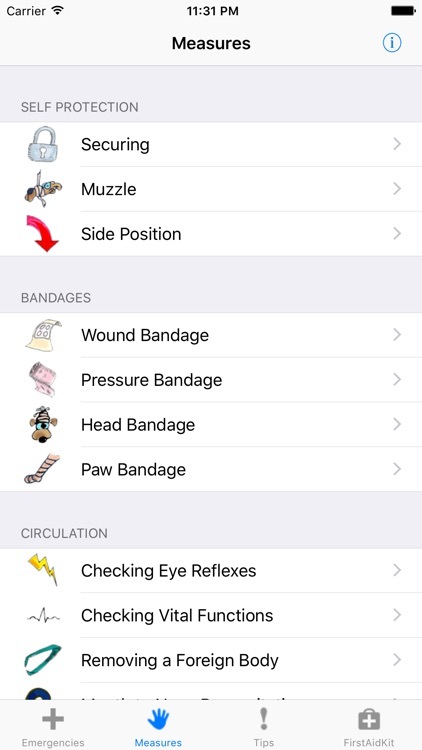 The App shows you specific ways to act or react when your dog needs first aid. 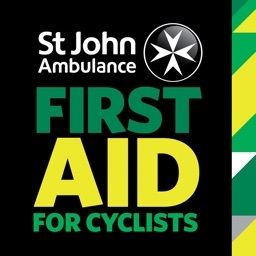 Ideal for emergencies occurring if you are out for a walk, so that you can act quickly and effectively when you need to. 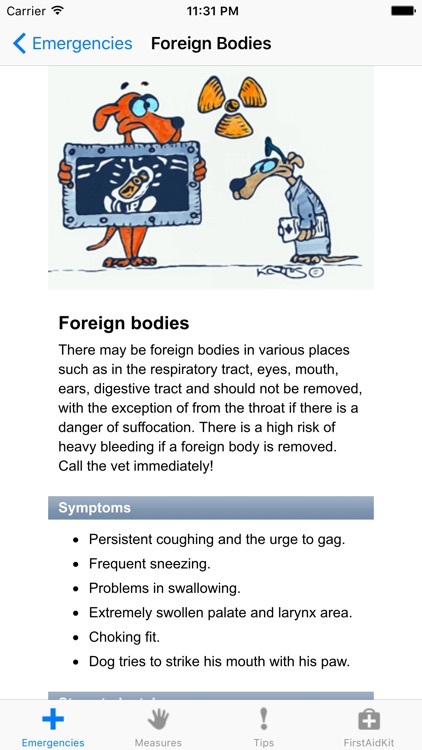 These concepts were worked out in co-operation with a veterinary surgeon. 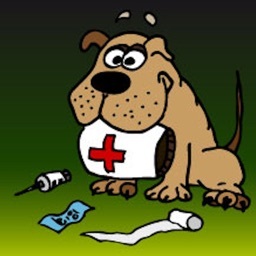 For your amusement we have added several funny dog cartoons. 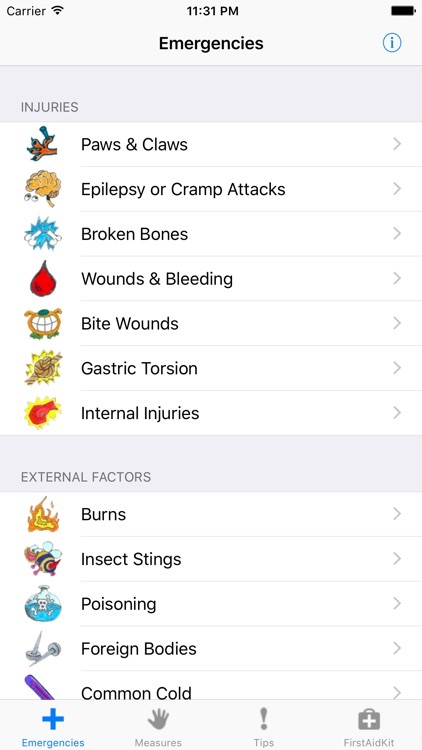 The following emergency situations ate described in full with all symptoms. 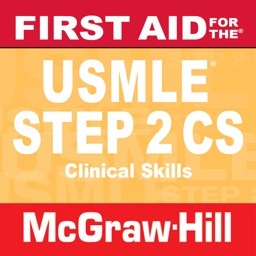 Here we describe for you the respective steps to be taken. 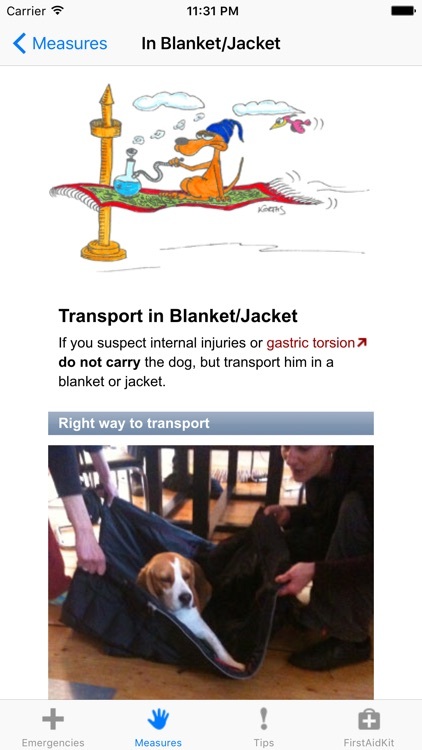 Valuable Tips on the handling of your dog in order to prevent accidents, e.g. 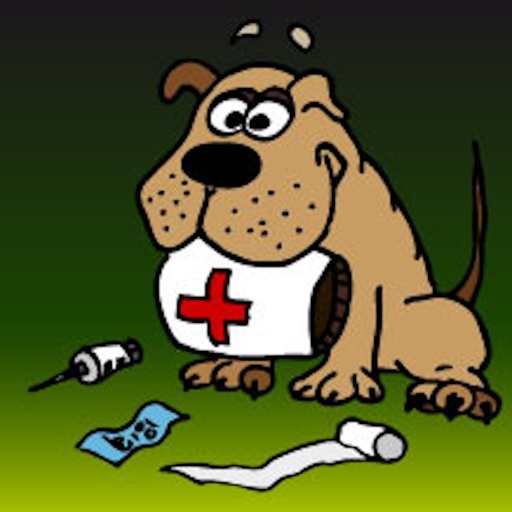 Be prepared!, Obedience and Trust, Sweets and Chocolate (chocolade poisoning). 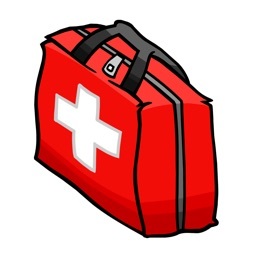 Information on our First Aid Kit containing the most important utensils for first aid. Any help is as a rule better than no help. 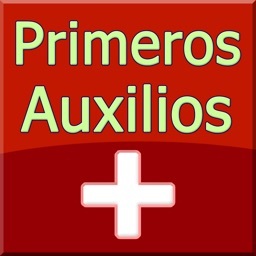 This App is intended to help you in a stress situation, to show you how to begin with First Aid but it is not a substitute for a visit to the veterinary surgeon or for attendance at a first aid course for animals. 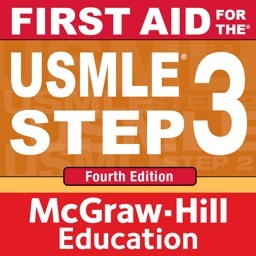 The contents of this application have been compiled with the greatest care; some of the measures (e.g. 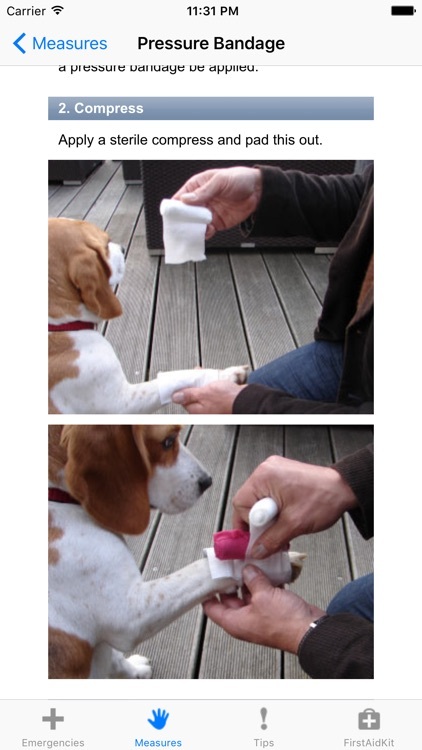 heart massage) should be practiced in advance under the control of your veterinary physician. Nevertheless, we hereby disclaim liability for the correctness, the completeness and the up-to-date status of the contents.